Buying a home is one of the biggest investments you can make. Given this, homeowners insurance exists to provide you peace of mind as well as protection. Most mortgages require that you purchase homeowners insurance. You aren’t required, however, to familiarize yourself with the details of the policy. You should make the effort to do so anyway. Reading those documents and talking to your insurance agent as questions arise can ensure you’ve got coverage that’s as comprehensive as possible. 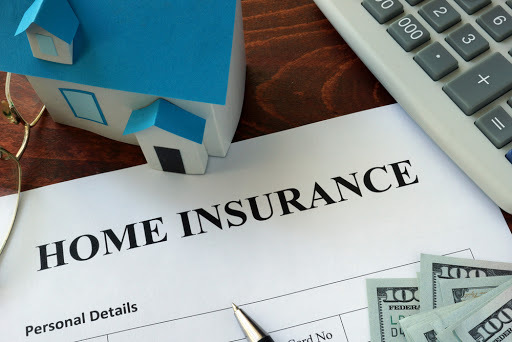 There are three things to keep in mind with regards to homeowners insurance. 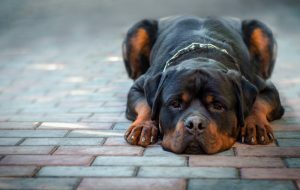 Some companies make coverage choices after looking at information about your particular dog’s behavior. You’re more likely to get coverage and get it for cheaper if you can demonstrate that your dog is well-trained. One way you can do this is by providing a document like a Canine Good Citizen certificate from the American Kennel Club. You should find out what isn’t covered by your homeowners policy as well as what is covered. This can determine whether you should purchase supplemental insurance. Burst water pipes. Your claim may be denied if it’s determined that you failed to properly maintain your pipes. Flooding. 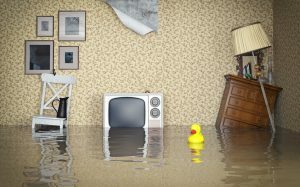 You may want to look into supplemental insurance through a source like the Federal National Flood Insurance Program. Mental and emotional support. A catastrophe can cause stress and even spur post-traumatic stress syndrome. You may find it helpful to see a therapist. Just keep in mind that your homeowners insurance won’t foot the bill. Mold. Mold is covered by some homeowners policies, but your claim may be rejected if its growth is determined to be caused by negligence. Termite damage. A pest control company can work with you to make sure these insects haven’t invaded your home and rid you of infestation if they have. Many figures must be determined when you’re buying homeowners insurance. One of the most important is replacement cost, an estimate of how much money it would cost to rebuild your home if it were totally destroyed. Replacement cost is not synonymous with the market value of your home. There are hidden costs of construction you may not have considered. For instance, your ruined house needs site-preparation before it’s rebuilt. This includes tearing down the demolished structure and cleaning up any debris. You should also take into account appliances you may need to replace, including major ones like your furnace, air conditioning and water heater. The cost of building materials, which can spike swiftly. You’ll want to make sure your policy is updated regularly to reflect inflation. Your house’s custom or outdated needs. Some homes, particularly older ones, have custom features that are expensive or hard to find. Construction prices, which can grow for many reasons. If a large-scale catastrophe leaves many people in your region needing home repairs, the price of construction may rise to reflect increased demand. At Jensen and Company, we can refer you to an insurance agent who has covered similar properties in the Park City area. A skilled insurance agent can work with you to make sure your home is fully protected and that your homeowner’s insurance policy is up-to-date. Contact us if you have any questions about the process of finding a new home in Park City, Ut.